Our village is very good at marking the seasons and annual events. This Halloween, the High St and little alleys were filled with bewitching decorations and candle lights flickered in hollowed out pumpkins. 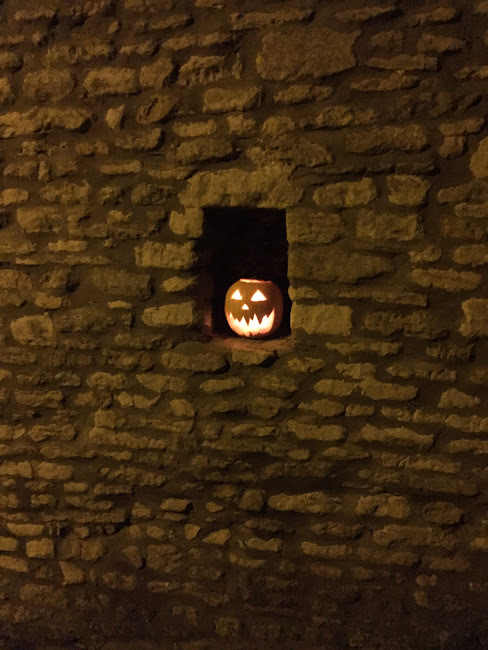 Holes in the cotswold stone walls were filled with spookiness. The pre-Christian Celtic tradition of Samhain was believed by our ancestors to be the time of year when the veil between the world of the living and of the dead was at its gossamer finest and the dead were remembered and honoured. 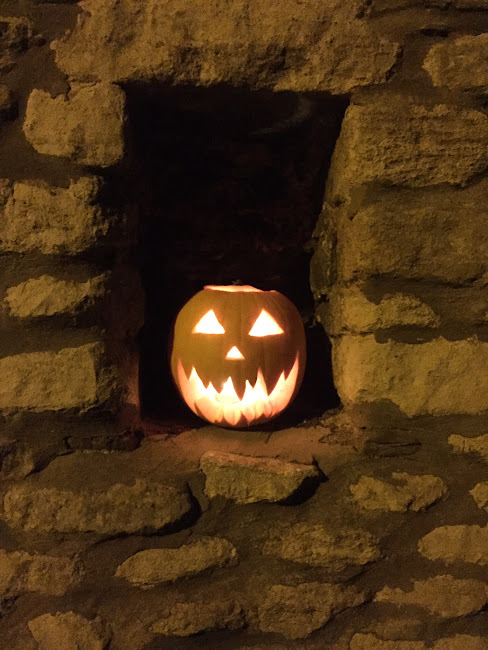 Now it's all about colourful carved pumpkins lighting the way for children dressed as something gruesome playing trick or treat. Time moves on and each generation reinvents their world. I appreciate the older traditions...but I can't resist a carved pumpkin. 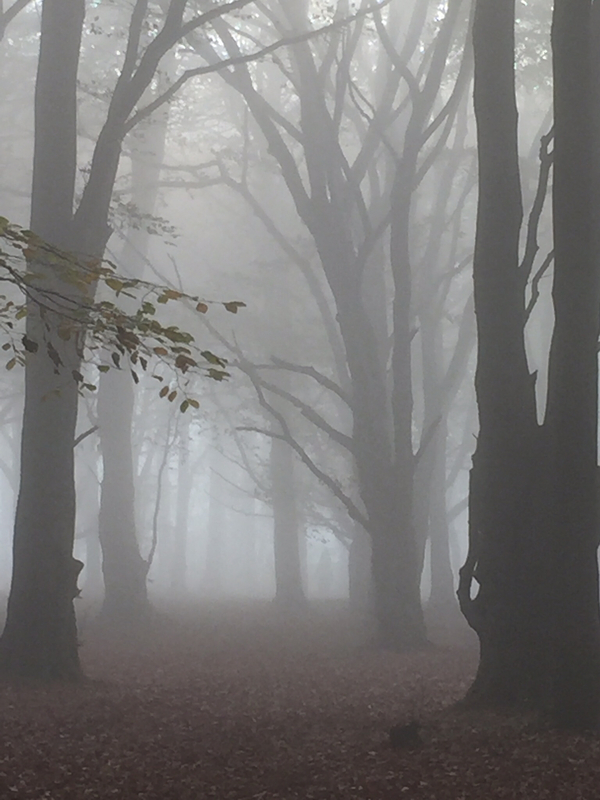 The weather has provided the traditional mistiness required for spooky walks in scarey woods. Atmospheric innit? 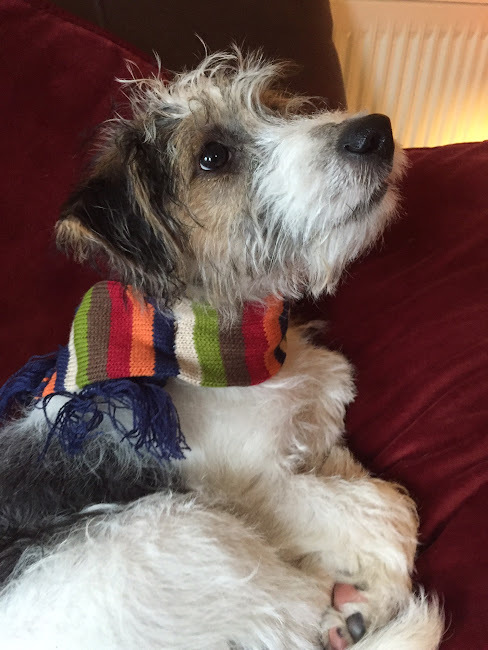 We had dressed Buster up in his new scarf and off we went, exploring. 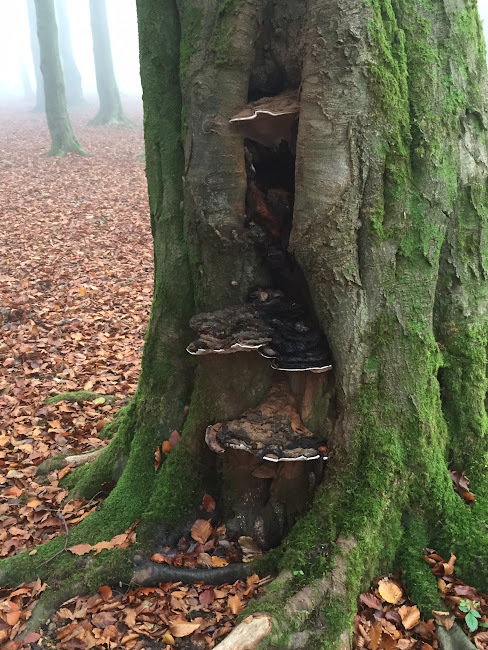 These mushrooms looked like steps to climb the tree trunk. 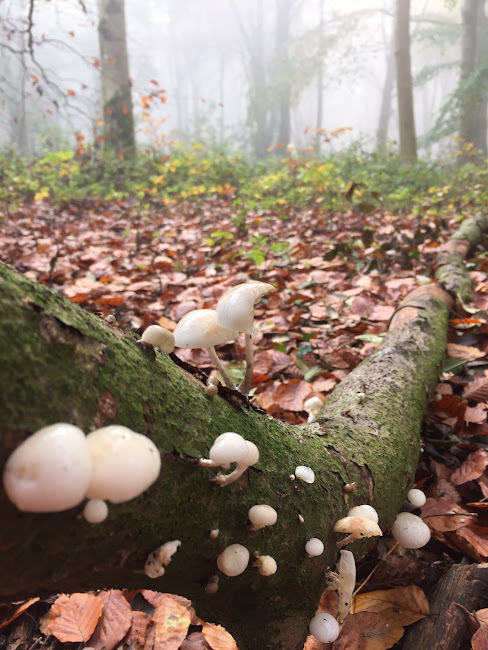 While these pure white fungi crept down a fallen log. 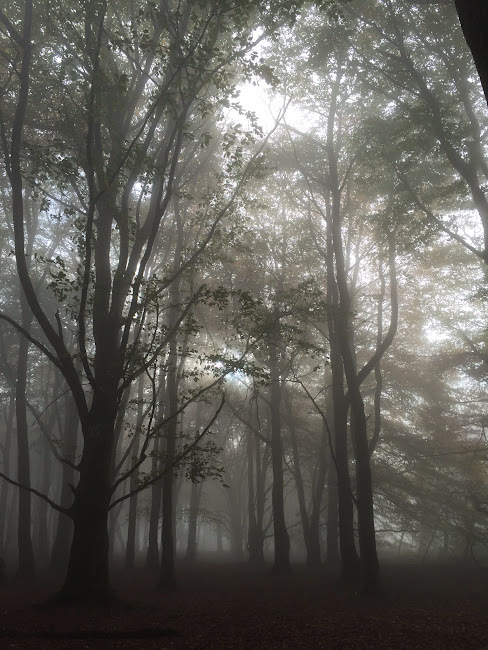 Sunlight began to brighten the sky for the first time in a few days and was very welcome. I can take the cold but having the sun and sky hidden from view for days on end feels grim. 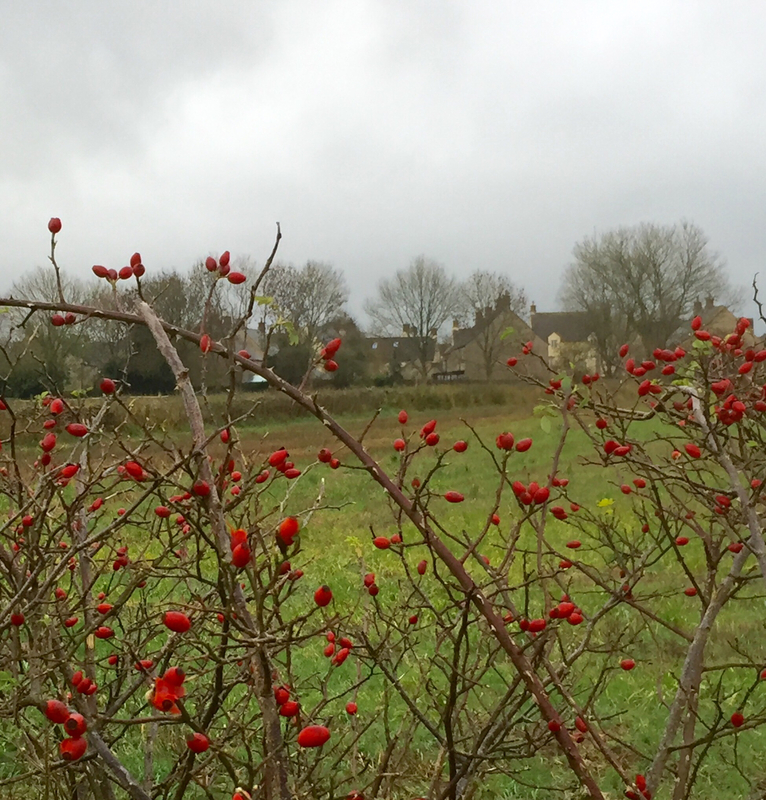 There are a few small colourful reminders left in the fading hedgerows but the birds will strip these last berries soon. 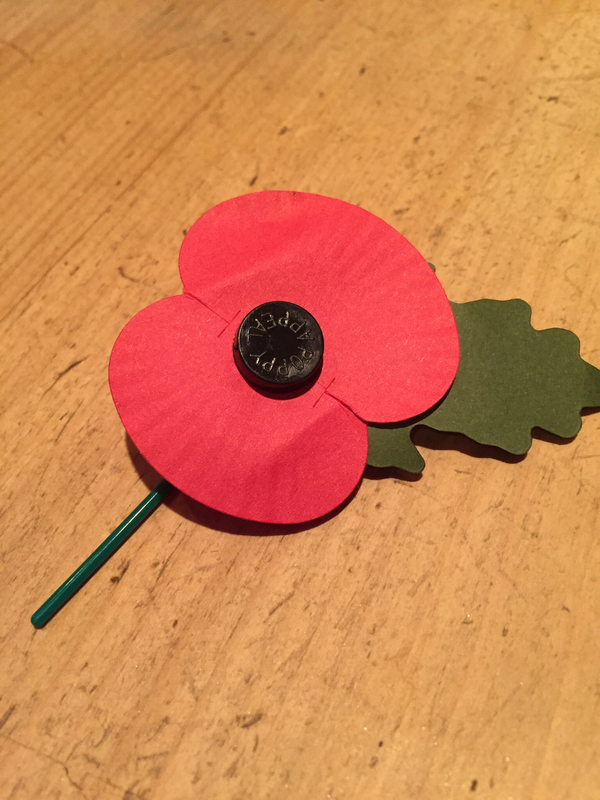 Once the commemorations and remembrances are passed, it feels as if we can justifiably fill the house with food, friends and log fires. Here's to hibernation!